Ian Adams examines the tenets of liberalism, socialism, conservatism, Marxism, anarchism, and fascism. This new edition covers recent developments in religious and sexual politics, environmentalism, animal rights, post-Marxism, communitarianism, multiculturalism, and postmodernism. Recent events covered include the Asian financial crisis, the Balkan wars, and the election of the New Labour government. 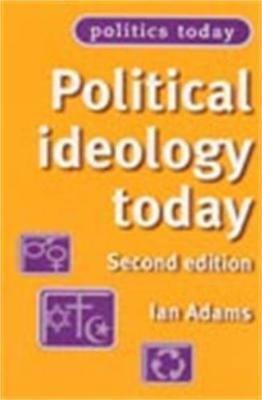 Adams shows how contemporary ideological thinking is still thriving, and discusses prospects for future ideological developments, including the growth of small scale and local ideologies. -- . Ian Adams is Lecturer in Politics at Durham University -- .